Tackle your Rochester commute with confidence in the 2016 Toyota Sienna. Every new Sienna minivan comes packed with standard and available safety features for quality peace of mind, whether you choose to carpool with family and friends or explore the Rochester region solo. The Toyota Sienna comes equipped with a Star Safety System that includes an Anti-lock Brake System (ABS), Brake Assist (BA), Electronic Brake-force Distribution (EBD), Enhanced Vehicle Stability Control (VSC), Smart Stop Technology, and Traction Control (TRAC). The 2106 Sienna also includes an integrated backup camera so that you can navigate in reverse with additional peace of mind. Every new Toyota Sienna model features an ample assortment of airbags, including all-row side curtain airbags, driver and front passenger Advanced Airbag System with seat-mounted side airbags, driver knee airbag, and front passenger seat-cushion airbag. Master the carpool pickup in the new Toyota Sienna! Every 2016 Sienna model comes fitted with an impressive 3.5L V6 DOHC engine to provide power and efficiency to your daily commute. Enjoy seamless gear changes with the standard 6-speed Electronically-Controlled automatic Transmission with intelligence (ECT-i). 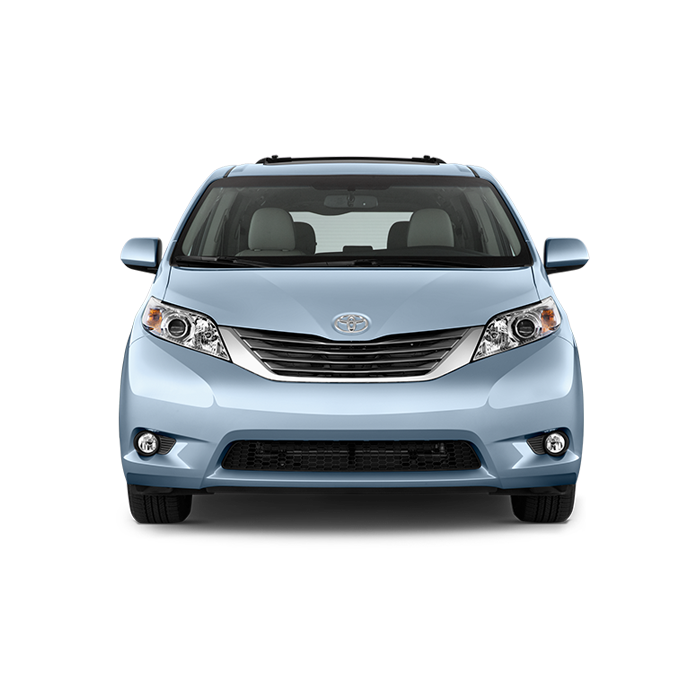 The new Sienna features power-assisted ventilated front and rear disc brakes that deliver intense stopping power on the charming streets of the Rochester, New Hampshire region. 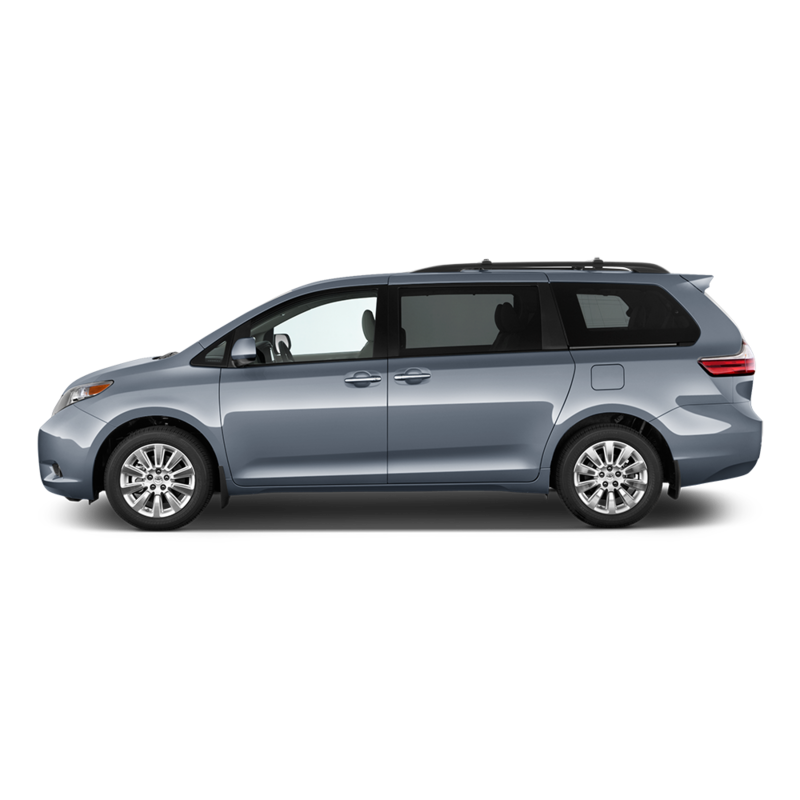 The Toyota Sienna minivan comes standard as a front-wheel drive (FWD) vehicle that directs engine power to the vehicle’s front wheels for enhanced traction when traveling up an incline. Drivers that crave maximum versatility for minivan transportation can select an available all-wheel drive system (AWD) for added confidence and power. Explore all of the standard and available performance features of the 2016 Toyota Sienna minivan at Rochester Toyota. Match your minivan to your lifestyle in the 2016 Toyota Sienna from Rochester Toyota. This multi-tasking minivan comes in several bold trim levels so you can find a model that matches your budget and personality. Every new Sienna model comes fitted with quality performance, safety, and design features that can take you on your weekend adventures and daily commute with style and confidence. The 2016 Sienna comes in Sienna L, Sienna LE, Sienna SE, Sienna XLE, and Sienna Limited configurations. The 2016 Sienna L and LE trim models deliver reliable performance and an eye-catching appearance and serve as a great starting point for drivers that want all the bells and whistles of a new Toyota minivan while staying within a smaller budget. As you build upon the trim levels to the 2016 Sienna XLE and Sienna Limited models, additional premium comfort and convenience features become available, including front and rear parking assist sonar, leather-trimmed seating surfaces, and more. Thank you for visiting Rochester Toyota, your new Toyota dealer serving the Somersworth, Sanford, Strafford, Barrington, and Rochester communities and the surrounding areas. We provide all of our Toyota customers with excellent service and carry a broad selection of new Toyota models in our inventory, including the 2016 Toyota Sienna. Contact us to schedule a Toyota Sienna test drive appointment today! We look forward to welcoming you to our Rochester Toyota dealership soon.